Too Much Dust? Get Your Air Duct Cleaned! An HVAC system works wonders for keeping a home cool in the summer and warm in the winter. Well, it only works wonders if it actually works. A dirty HVAC and its air ducts are not a system that is going to do its job most efficiently. Cleaning out the HVAC when its dirty is a must. 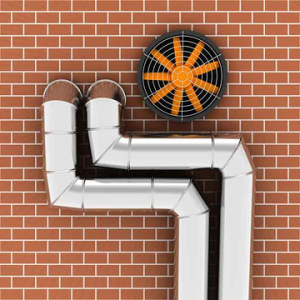 So, you have to be on the lookout for five signs the HVAC air ducts could use a nice cleaning. 1.) The air is not being cooled or heated to the degree you prefer. There could be a number of reasons why the system isn’t doing its job. The cause might not be mechanical. A massive amount of dirt in the ducts could be the cause. 2.) The interior of the home starts to really smell. Maybe organic matter such as insect or rodent refuse is breaking down in the ducts. As a result, the smell is not circulating through your home via the messed up ducts. 3.) Mold is growing in the ducts. The musky smell of mold is a giveaway. So is the presence of mold growing out of the ducts. Mold is more than unsightly. There are health hazards associated with mold spores. The second you see any mold, a cleanup job positively must be performed. 4.) You notice an odd amount of dust inside your home. Where is all that dust coming from? The chances are the dust is accumulating inside of the air duct and being cycled into your home. Since you do not regularly dust inside the system, a lot of particles are going to collect. 5.) Strange noises are coming from the system. Dirt and debris does not only collect in the air ducts. The amount could also end up finding its way into the operational mechanism. Those sounds could be the unit over-taxing itself. A good cleaning could help bring a solution to these troubles. Scheduling an annual cleaning is a really good idea because a lot of issues are probably developing without you even knowing about them. By having a cleaning scheduled in advance and done once a year, all dirt and dust related problems are going to be gone. A lot of them won’t even develop in the first place. 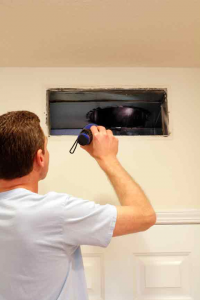 Are your Annapolis air ducts making your home smelly, stuffy, & dusty? Call Heidler Plumbing at (410) 268-7191 for duct cleaning!